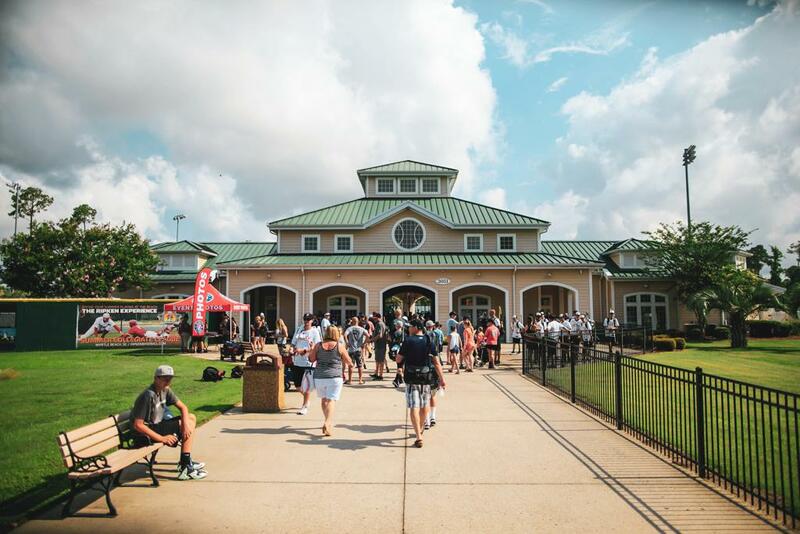 It's all fun and games until you work up an appetite - Be sure to check out our dining partners to refuel throughout your week at The Ripken Experience Myrtle Beach. Click the icons below to view more information. Check out a Myrtle Beach Pelicans home game, make a trip to the Myrtle Waves Water Park, or catch a show at Broadway at the Beach and more during your fun-filled week with us at this top vacation destination. Contact us for more information and to learn about special offers and discounts for our dining and entertainment partners in Myrtle Beach. Whether it’s dinner reservations or entertainment off the field, our staff is here to help. Fill out the web form or call 843-213-2322.